That’s Liam Young writing in the Independent. He’s right, of course, the fragility in Labour’s support among the working classes was started under the middle class privately educated Oxford graduate, Blair, and continued under the middle class Edinburgh graduate Brown. It got worse under the middle class Oxford graduate Miliband, and the entire POINT of Corbyn was that he would appeal to the masses, supposedly. Quite how a middle class, privately educated professional objector and demonstrator was supposed to be the “champion of the workers” has always mystified me, and instead he has continued to allow the Labour support to decline to just those foolish enough to believe in policies that the majority of the public – 74% at the latest polling – do not support. You cannot win a general election when 3 in 4 people believe you to be wrong. Ludicrously, Ian Lavery maintains today that Jeremy Corbyn is the most popular politician in the country. These people need to wake up to reality, because while they are arguing over whether someone who left professional politics 10 years ago is still relevant now, the Tories are getting on with winning by-elections and running the country. And Labour’s positions, bonkers as they may be considered by most, are entirely irrelevant when they are not seen as a credible threat by the Government. Labour’s civil war has to end, now. I think the civil war in the middle of the Labour Party is profoundly dangerous for our nation. Labour has a constitutional role to play in our two party system. By fighting among themselves they are not keeping the Tories on their toes. Osborne should have been torn to shreds, but silly games meant that the only thing the public will remember from the Autumn Statement is Mao’s little red book. I don’t blame Corbyn. I think he is a nice guy, with solid principles, who has found himself out of his depth. He is surrounded by numpties, who don’t seem capable of running a national political party. I don’t entirely blame the Parliamentary Party – though I take what is happening as a warning against the membership choosing a candidate that the Parliamentary Party has little respect for. IDS was selected by the Tory membership, and he was a disaster as leader. But the Tory Party didn’t implode in quite the way the Labour Party appears to be. I think the Parliamentary Party – well some of them – are truly fearful that Mr Corbyn’s policies won’t win them an election. They don’t want to see five years of Tory Govt (any more than Corbyn does) and they fear that if Corbyn goes on they will lose in 2020. They’re protecting their jobs and, in their mind, their party. It must also be really galling to be told by people who voted Green or Socialist Party, or Left Unity or TUSC at the last election that suddenly if you aren’t a Corbynite you are effectively a Tory. I know that during the IDS era I had a Tory association officer (now with UKIP, ironically) tell me that I should go and join New Labour. I nearly hit him. So I can understand why John Woodcock and other MPs are quite so quick to go to the media. They must really be angry with those they perceive are ruining their party. The civil war inside the Labour Party may be mildly amusing for some Tories, deeply worrying for others, but for people like me, it is frightening. I don’t frankly care who runs the Labour Party. I don’t frankly care what policies they pursue. But they have to get on with the day job; they have to take the fight to the Tories. This country demands any Government is kept on its toes by a strong opposition; an opposition that could be considered an alternative Government. Labour currently trails the Tories by 11 points. Only 25% of people think Corbyn is doing a good job as leader; 46% of people think disagree, with the remaining 30% undecided. While Labour tears itself apart, there is no credible opposition. It certainly doesn’t seem like this is a Government with a majority of 12. Ten Labour councillors in Liverpool are the latest recruits to the Jeremy Corbyn bandwagon sweeping the 1% of the population who are members or supporters of the Labour Party. In a letter to the Liverpool Echo they say that “The Labour Party’s first duty should be to oppose the Government and in particular the punishment of the poor and to challenge the narrative that somehow they are to blame for the financial crisis. They go on to say that the Tories don’t believe in education, health, or small businesses, in the way that Labour do. I’m not going to allow myself to be distracted by that – though for a party that saw Britain drop down international league tables for maths, English and science like a stone, caused the Stafford Hospital disaster, along with other target driven horrors, and voted against legislation that has led to the largest increase in the number of small businesses in decades, that’s a pretty arrogant statement. Instead I am more concerned about their view that the Labour Party’s first duty should be to oppose the Government. It absolutely must not be to oppose the Government. The first duty of a political party is to seek to become the Government, not merely to oppose it. While it might be more comfortable to be in opposition, insulated from the tough decisions that come with priority setting in Government, it is an outrageously selfish indulgence to become an ideologically pure opposition, rather than seek to become a Government. In the last election we had Labour activists condemning the Government for the ‘Bedroom Tax’. Caroline Flint came to Ipswich and handed out signed copies of the Bill she was going to introduce to repeal the legislation that brought to an end the Spare Room Subsidy. We had Labour activists condemning the Government for closing children’s centres, including three right here in Ipswich. 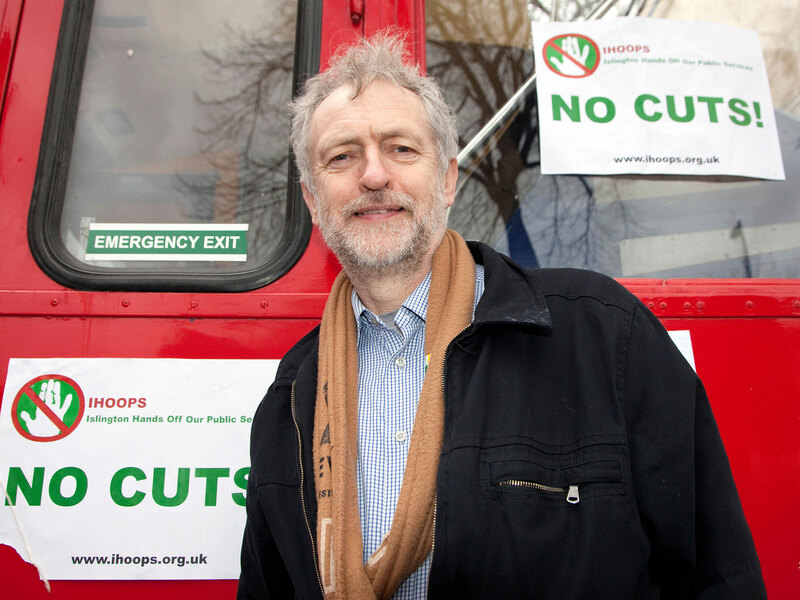 Since the election we have had Labour activists outraged at the £12 billion in cuts to welfare. Yet the Labour Party is in opposition. Which means that it can do absolutely nothing to stop any of these policies, policies that it claims hurt those it seeks to protect – the poor, the downtrodden, minorities, the disabled. Nobody in the Tory party will much care. Indeed there will be those who will celebrate seeing a once proud foe brought so low by its own hubris. But the country will care. The Labour Party exists for the many, not the few. It exists to improve the lives of the working class. It exists to espouse policies that will lift up the poor, support the disabled, heal the sick. While in opposition it can be as ideologically pure as it likes, but it won’t help a single citizen of this country. Without power, a political party is in a holding position. Without seeking power it is a complete waste of time. Jeremy Corbyn is not going to win the next General Election for his party. This country has not elected a left wing Government since 1974. The argument that he has personally won elections in Islington is bunkum; the country is not Islington. There are those who are voting for Jeremy Corbyn in the deluded view that he will be the next Prime Minister. Yes I do believe they are deluded. They are as credible as those Ukippers who were expecting Prime Minister Nigel Farage. What is more disappointing from the Labour Party is the number of its activists who don’t appear to care that they won’t win a General Election with Mr Corbyn as leader. Who would rather be an ideologically pure opposition than a compromised Government. These activists do not have the best interests of the Labour Party at heart. They certainly don’t have the best interests of Labour voters at heart. They are selfish and self-indulgent and they are betraying the party of Ramsey Macdonald, Clement Atlee, Harold Wilson, Jim Callaghan, Tony Blair and Gordon Brown. Why not the “ultimate rebel” as Prime Minister? These are just some of the reasons local Labour supporters, including members of Ipswich Borough Council, have given me for supporting Jeremy Corbyn in recent weeks. Those who blithely bury their heads in the sand and insist that even the Labour Party isn’t that bonkers need to spend less time in their ivory towers (or Grafton House as it is called) and more time talking with their own supporters. I am yet to find a single person prepared to tell me they would vote for the only Labour leadership candidate who realises the party lost the last General Election because it wasn’t credible on the economy – Liz Kendall. I am yet to find anyone who will openly support either Yvette Cooper or Andy Burnham – though both have significant backers, especially among the local party membership. I can remember, for instance, David Ellesmere telling me that Yvette Cooper was a future Labour Prime Minister, though that was several years ago, and he did loyally insist that Ed Miliband would be PM first. But Jeremy Corbyn is the popular choice among Labour’s affiliated members, registered Labour supporters and others who have a vote. Or at least that is what recent discussions have told me. What the media is completely forgetting, however, is that it doesn’t matter who comes first. The Labour Party prefers to elect the person who comes second. David Miliband won the backing of more MPs and more party members, but affiliated members backed his brother by a much larger margin and so we had five years of Ed Miliband. The crucial thing for this election will not be how many people vote for Jeremy Corbyn. It will be how many of Liz Kendall’s second preference votes go to Andy Burnham and how many go to Yvette Cooper. It will be how many of Andy’s second preference votes go to Yvette and how many of Yvette’s go to Andy. Liz Kendall looks set to come last, and will therefore be eliminated first. Her second preference votes will be split between the other three candidates. Whoever is then last – and I suspect it will be close – will then be eliminated, and their second preference votes redistributed between the remaining two candidates – and whoever has the most votes overall will then become leader. If the polls turn out to be as accurate at polling Labour activists and registered supporters as they were at polling Labour voters up to 7th May, then Andy Burnham or Yvette Cooper could already be ahead. Indeed Liz Kendall could have a silent majority of support out there. But from conversations with Labourites here in Ipswich, I don’t think so. We could be just five years away from Prime Minister, the Right Honourable Jeremy Corbyn MP. To quote a senior Labour figure from the Speccie the other week – we’re in real fuckaroo territory now. The national media appears to be obsessed with Ed Miliband in a way that they haven’t been with previous opposition leaders – red or blue. Miliband is a busted flush, they say, the public mistrust him. He’s a joke, or he’s the man who stabbed his brother in the back. Most damningly, he’s the Tories secret weapon. All of this is utter rot, of course. He’s a decent guy who has an ability to connect with voters in a very direct way – face to face. It is hardly surprising Labour want to hold 4 million conversations with voters; if Miliband was involved in all of them, they’d be a lot further ahead in the polls. But Labour have GOT to get a better answer when the national media come calling and question his leadership qualities. Labour campaigners are not going to like me saying this, and they’ll accuse me of the same bias they’re currently accusing the BBC and every other national news organisation bar the Mirror, the People and the Guardian, but what absolute rubbish. Standing up to power? Let’s take the briefest look at the facts shall we? On phone hacking, Ed Miliband and Labour got most upset because Labour MPs and peers, like Lord Prescott, had their mobile phones hacked. Despite the fact that interfering with a mobile telephone is already a criminal offence, Labour used the scandal to push for laws that would allow Government’s to regulate the content of our “free” press. As for standing up to Rupert Murdoch, if only he had! Just last week Rupert Murdoch told the world how Ed Miliband fawned over him so much at their meeting it was embarrassing. But even if he had stood up to Murdoch, it is easy to attack your enemies in the media, but much more impressive to stand up to your friends. So while Labour MPs were berating Ed Miliband for posing with a copy of the Sun, which he weakly apologised for, there has been total silence from Ed Miliband about the revelations that journalists at the Mirror operated an industrial scale phone hacking that pushed celebrities like Paul Gascoigne into the alcoholic gutter. On standing up to the energy companies, I am astonished that any Labour candidate, anywhere in the country, wants to remind the voters of this flawed policy. What happened? Oh that’s right, Ed Miliband announced a price freeze on energy companies after the election. But it turned out that prices were right at their peak; had the legislation that Labour tried to introduce in the Commons been enacted we’d all be stuck paying much more for our energy than we are now. Since Ed Miliband announced a price freeze, prices have fallen considerably. Suddenly this “freeze” was a cap. 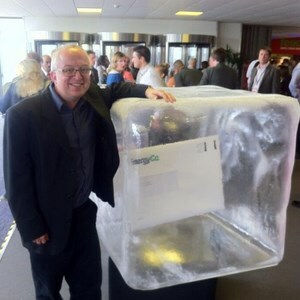 Which presumably explains why Labour candidates were queuing up at the Labour Party Conference to have their photo taken with a giant block of ice; ice being related to caps after all. Indeed, now we don’t know if it is a cap (some Labour people say so) or a freeze (some Labour leaflets still claim this). Chaos. But, I hear you say, surely where David Ellesmere is spot on is when he argues that Ed Miliband stopped the headlong rush to war in Syria. Sadly this too is a re-writing of history. Dan Hodges eviscerates Mr Miliband in a piece for the Telegraph here, making it quite clear that Miliband was initially quite happy to vote for military action after Bashar Al Assad had used chemical weapons on a civilian population – only the second dictator to do so in fifty years – until his backbenchers started organising against him. He then introduced amendment after amendment to his conditions for supporting military action, all of which were accepted by the Government, whose own backbenchers were also organising against. Ed Miliband showed the type of leader he was by doing a reverse ferret and following his rebelling backbenchers into the no lobby in a show of party unity. So when David Ellesmere says that Ed Miliband stands up to people in power I don’t really know what he means. The only time Ed has shown any backbone at all is when he stood against his brother for the party leadership. It seems he only stands up when he wants to seize power.